Lighting fixtures go beyond being simply functional to set the mood and character of a room. 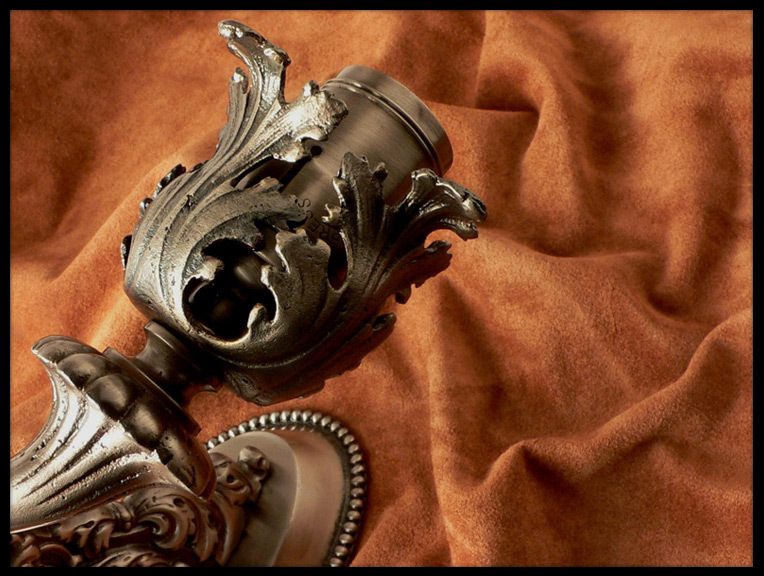 Antique light fixtures are of a much higher quality and value than most lighting available today. 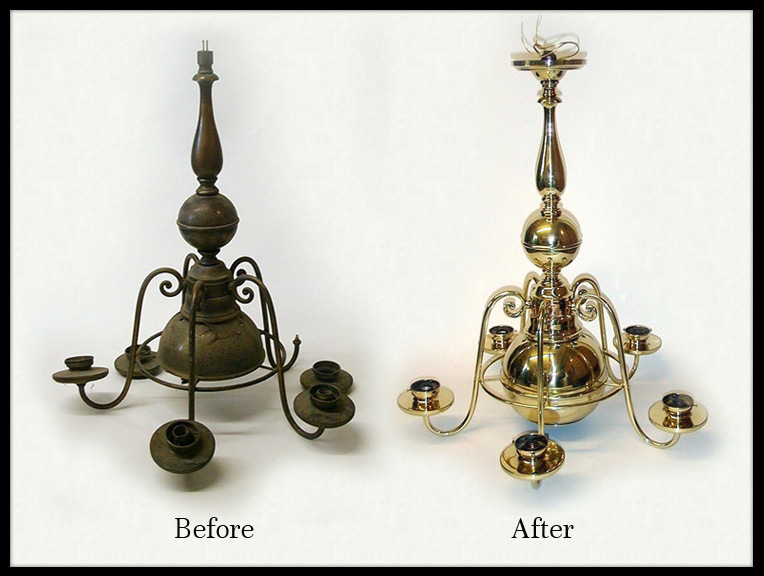 An older chandelier, wall sconce or lantern will be solid brass or bronze and can be restored to look as beautiful as the day it was first installed and can be refinished at much less cost than replacing it with a new fixture of similar quality. 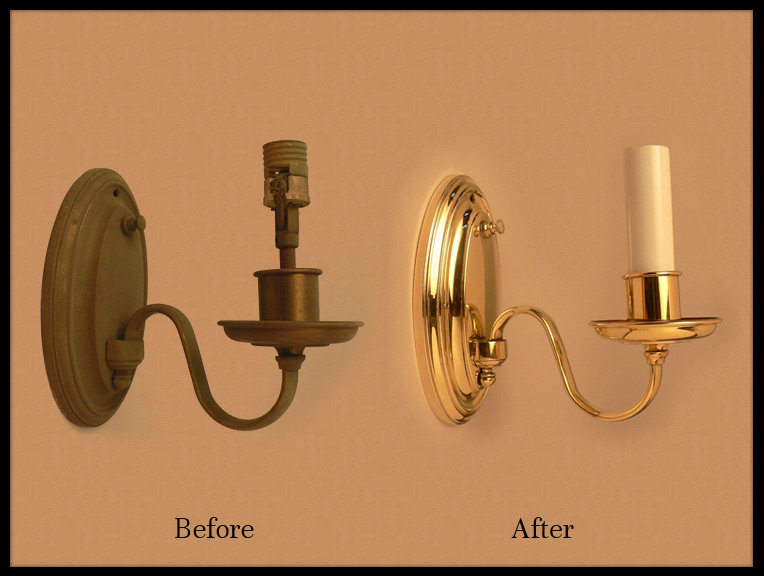 As with hardware, changing the finish of your lighting can refresh and update the look of a whole room. When we restore your fixture we photograph and diagram it prior to disassembly. 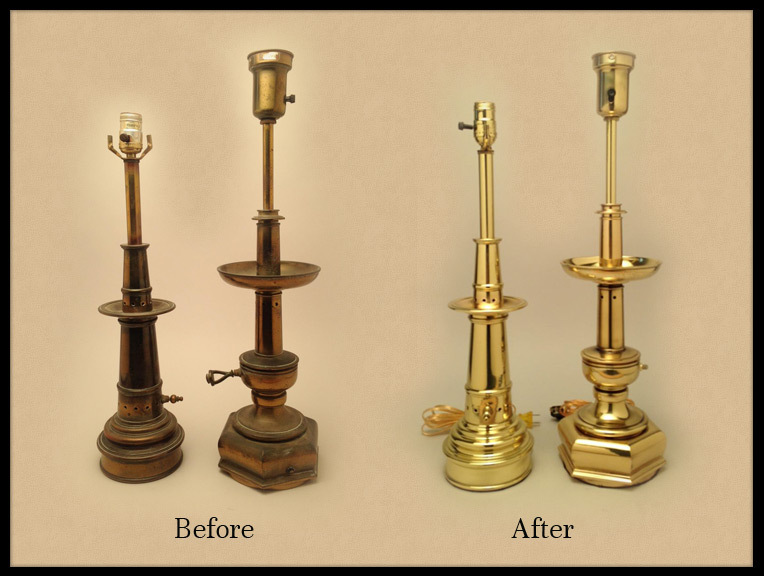 Each small part is refinished individually and the entire fixture then reassembled and rewired for a like-new condition inside and out. 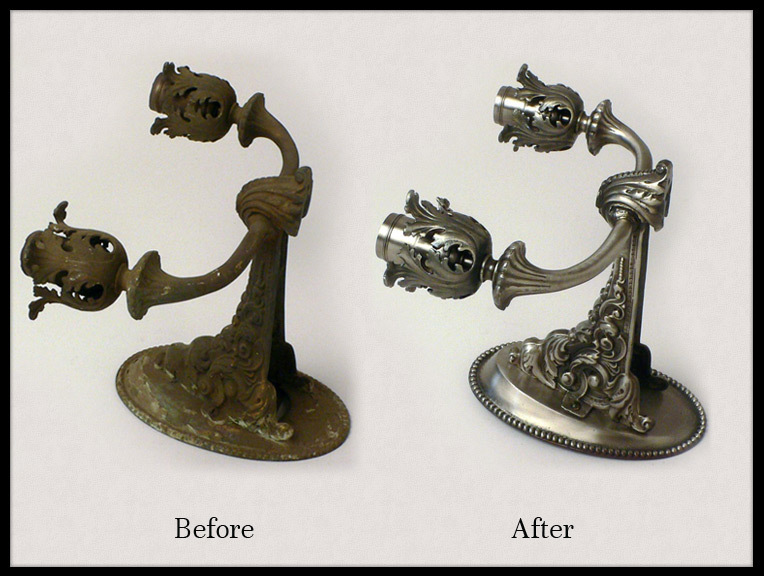 The original look can be restored or changed to an entirely new finish giving you the look of a different fixture. Antique torchier floor lamps are cherished for their period charm but often in poor condition after years of use or storage in damp basements. 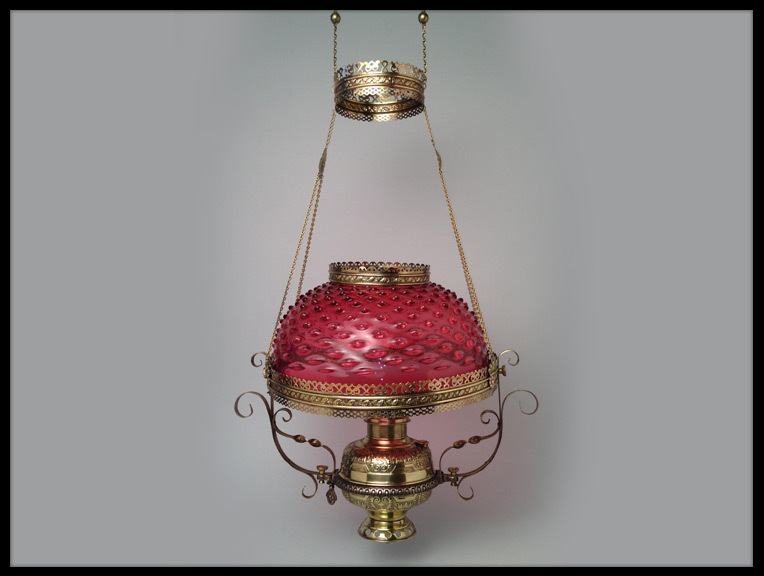 Often made of steel and pot metal, these distinctive lamps can be refinished to the look of solid brass or bronze with all the warmth and elegance of that period. Outdoor lanterns and coach lights can be ravaged by sun and weather to the point of being a real eyesore on your front door or patio. With careful attention we can transform your exterior lighting to be a warm, welcoming accent to your home.